Lovely one Karen, singing Preacherman? "...being good isn't always easy no matter how I try"..
Slightly differnt Clive to others posted. A lovely one it is too Karen. Thank you. Yes, she looks so lovely here! Nice to see this one again Clive. Love the hair. Yes all that "hair" amazing. Yes I do like that one Karen, lovely in blues. I guess we will have had this one over and over! Cas19 wrote: I think this is a lovely still of her I took. is this a full head wig or a false piece put in at the back? It's a false piece at the back, she seemed to have a few different ones, some bigger than others Her own hair was relatively short around this time, as in this picture. 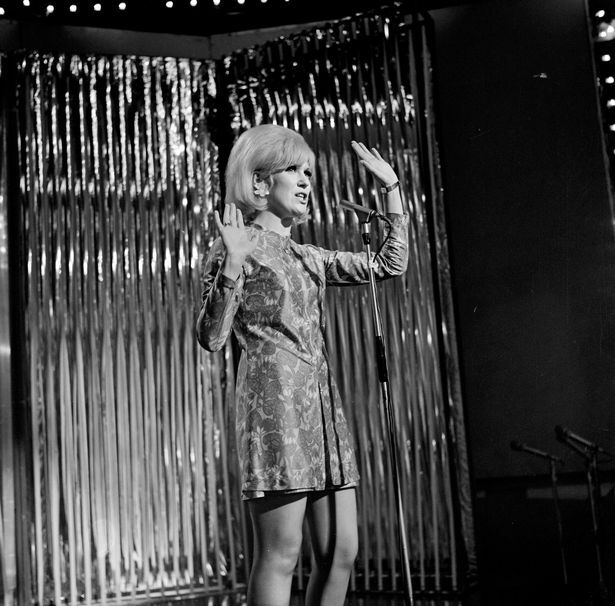 Rehearsals for Top of The Pops 25 May 1967-presumably this would have been for Give Me Time ? Yes I believe so Clive. There are quite a few taken at the same time Clive, they should be on here a few pages back. Thanks for that one Chad. Love this photo of Dusty. Even an older Dusty is still so beautiful. Thought I'd breathe a bit of life int this thread! Well I can but try! Thank you Trek thats a lovely one. Cas and Trek - I love these action photos of our "Lady on Stage". Wish I'd been there to see her in real life for all of these occasions! Only actually met her once despite involvement with the original Fan Club. The Irish Sea and being a poor teenager has a lot to answer for! Thank you Henry . Lovely to have met Dusty even if only once. I met her too, lovely caring lady who always had time for her fans. Thank youy Cecelia yes it certainly is. Love this one Cas. It’s on my favorites list. Just so gorgeous. Yes it is a lovely one I agree Cecelia. Yes... love this.... my fav Dusty time. That would be so great if it were possible Liz. Its a nice dream. A rare beauty, thanks Cas! Pleased you like hat one Frans. Wow!Thank you for this Richard its wonderful to see it. Another good outfit Cassie , I love a bit of crushed velvet and lovely colour too. Yes Liz it did suit Dusty. Love this pic Cas. Reminds me of "Talk of The Town" when I met Dusty. Pleased you like that one Mike. Lovely to have met Dusty. Thank you Wally its nice to know someones looking in! Just wanted to thank Cas and everyone else who contributes to the photo threads here. Oh and I'll mention that the second to last pic - while not exact - looks like it could have inspired the image of Katherine Kingsley as Dusty which is being used to promote the new musical. Thank you Liz and Richard. A lovely one Trek thank you. Just LOVE this photo Cas. Dusty looks absolutely stunning. Pleased you like it Mike, its one of my very favourites. 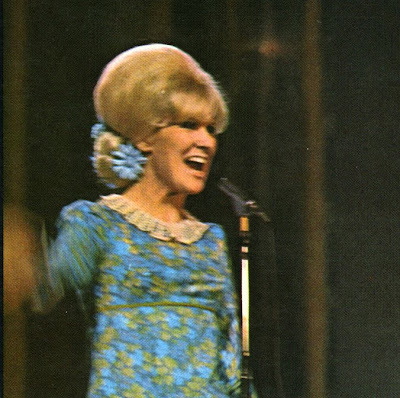 Dusty was wearing this dress when I met her in Birmingham. We went back stage 3 nights in a row and on the last night she took hold of me and we danced to "Great Balls Of Fire"
Lovely memories Mike I always wondered what you were dancing to. Sorry that should have been on the favs thread! Heres another. A fabulous stage shot Cas. Yes its a lovely shot I agree Ceceila.